This entry was posted on 17th July 2018 by WoodBlocX. 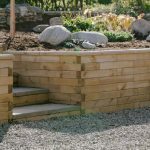 Why use WoodBlocX for retaining walls? 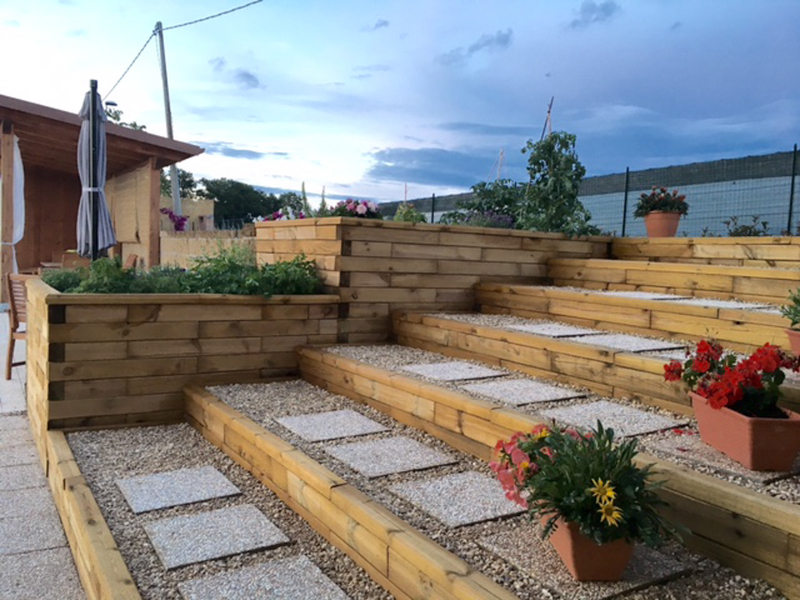 Whether your garden is sloping or hilly, landscaping areas using WoodBlocX is cost effective and the finished article is safe, sturdy, durable and looks natural and beautiful. 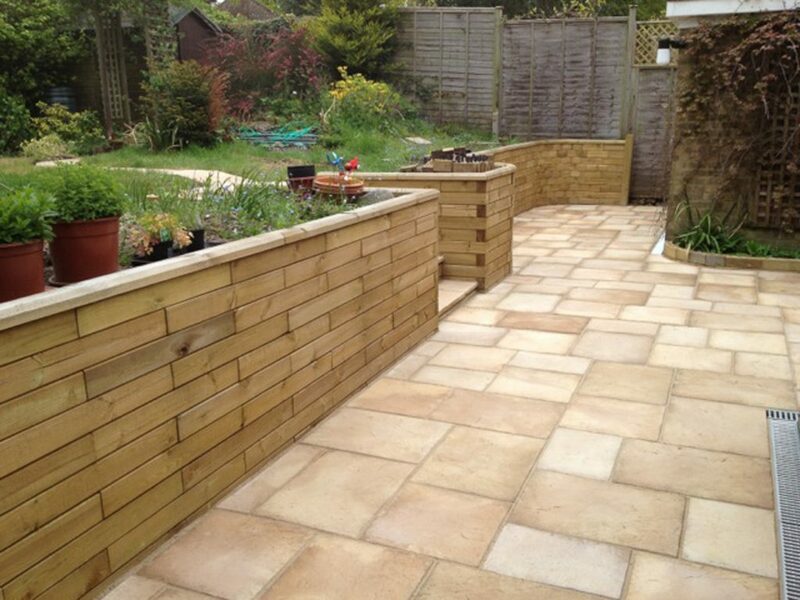 Made from pressure treated British wood, our retaining walls will not rot or distort. Plus, if you’re using the earth behind the wall for growing you can be assured that the wood will not leach nasty chemicals like those used to treat railway sleepers. How much can they retain? WoodBlocX structures are joined with a series of dowels to create a rigid structure. Each dowel can withstand a tension force of up to 0.9 tonnes. 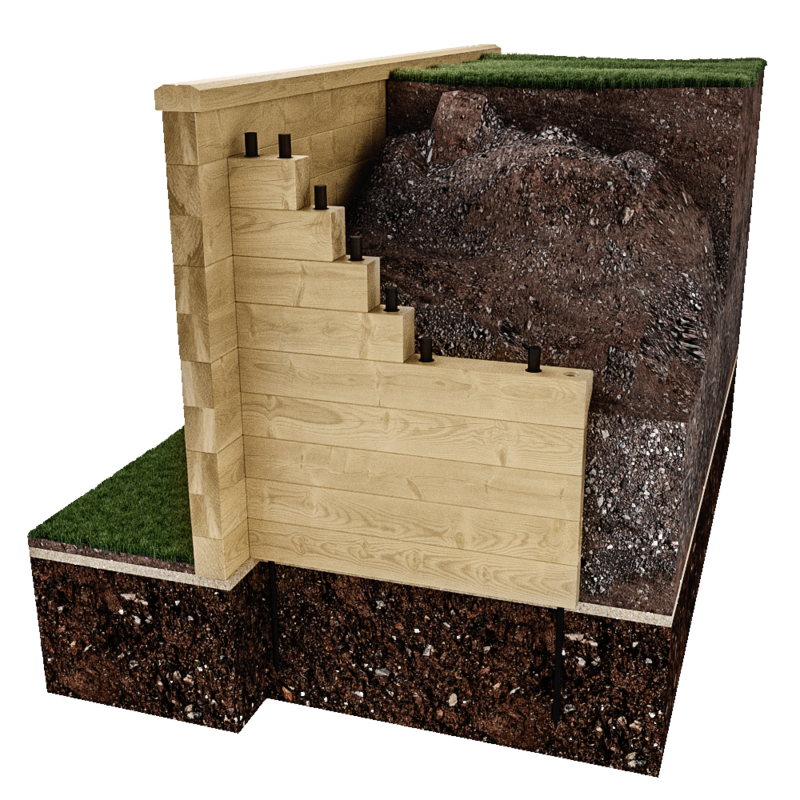 A single WoodBlocX timber retaining wall can retain earth up to one metre (approx. 3”). For customers that require higher walls we recommend using a terrace design, which looks great and creates additional planting areas. 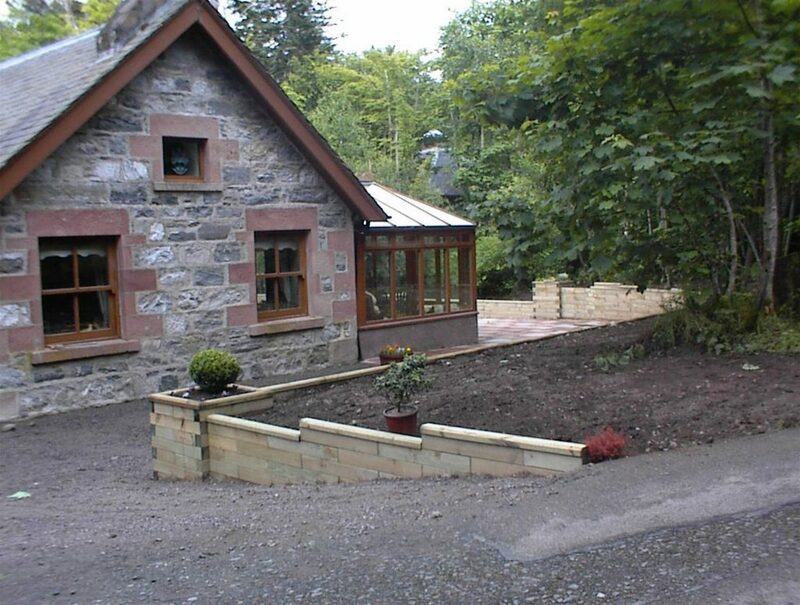 We pride ourselves on offering a versatile system that adapts perfectly to your garden. 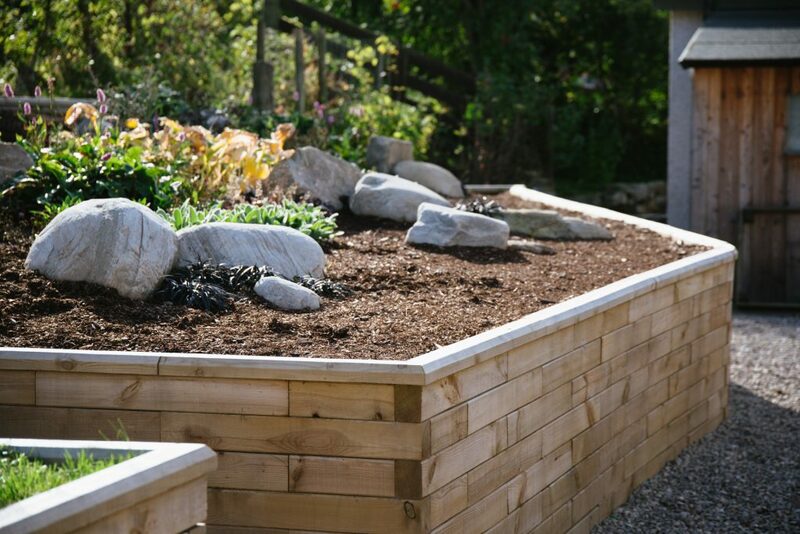 A WoodBlocX retaining wall never has to be just a retaining wall! We can seamlessly integrate steps, seating and planting areas into the design. 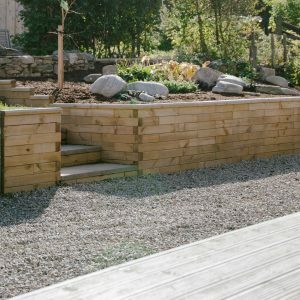 Our customers find building our structures straightforward and enjoyable and a WoodBlocX timber retaining wall is no exception. All of our kits can be built in the same way and we provide step-by-step instructions to guide you through. Many of our retaining wall customers have told us that by using our system and building it themselves they have saved a considerable amount of money. Check out Ryan’s story; he originally asked a building company for a quote to build his terraced walls. The cost was way too high, but thankfully he found us! Click here to read the case study.